Coaches, the following is a short excerpt from my new book: Common Sense Rules for Everyday Leaders that is available. It will feature close to 100 of these types of rules that every leader can find helpful. Signed copies are available on my website, tonydemeo.com. 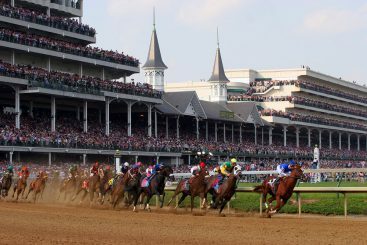 As the first Saturday of May approaches, it’s difficult not to think of Louisville, Churchill Downs and The Kentucky Derby. So in honor of that great race, I’m presenting another rule from my book: The Kentucky Derby Rule. The Kentucky Derby is the most prestigious race in “the Sport of Kings.” There is no greater prize than the run for the roses at Churchill Downs in Louisville, Kentucky. It is the Super Bowl of thoroughbred horse racing. The Derby was first run in 1831 but was inaugurated as The Kentucky Derby in 1875, making it one of the oldest horse races in the country. Longevity breeds tradition, and the Derby is no exception. The Kentucky Derby is the epitome of southern style and charm. You can’t attend the Derby without a mint julep and some Burgoo, two of the staples of the Derby crowd. The atmosphere is knee deep in class and tradition from the horses to the race track to the fashions on display – certainly not the place for a jackass. Even if you had a jackass that could run the one and a quarter mile like a thoroughbred race horse, it still wouldn’t fit in the elegance of Churchill Downs. Even if it won, it would only bray in the winner’s circle and embarrass you anyway. The bigger the stage, the more embarrassing it becomes. The biggest mistake a person can make is when they think that a talented jackass is not a jackass. Talent doesn’t change the makeup of the animal. We’ve witnessed the same exact mistake with humans. When you have a human being that is a jackass, don’t think he is going to change because of a good performance. He is what he is, regardless of his level of performance. We have all witnessed this mistake in every area of life. Do we have to go any further than Charlie Sheen? Charlie was the biggest star on CBS but could not handle his problem with excess. He was constantly in and out of rehab and eventually was fired. He had an unfortunate meltdown and embarrassed his employers, his family and, of course, himself. 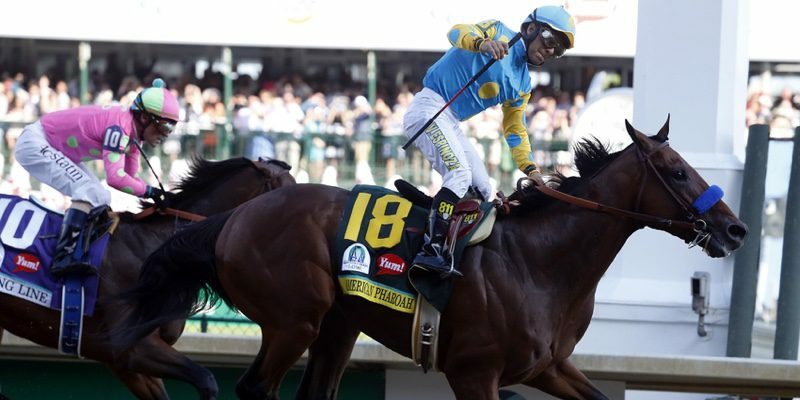 The leaders at CBS had to know of their star’s problems but chose to bring him to the derby anyway – whoops – big mistake. You can’t tell here, but he’s got personality. 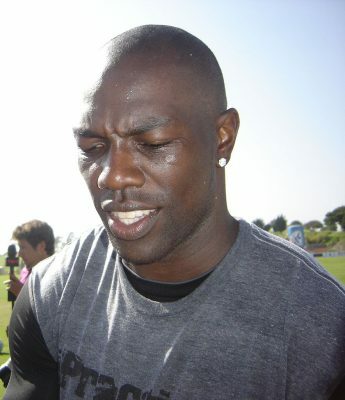 How about Terrell Owens? How many teams have taken a chance on him only to have him become a source of embarrassment to his teammates, his coaches and the owners? The Eagles suspended him mid-way through his last season with them; then he wore out his welcome in Dallas and Buffalo. Not only was Owens a source of embarrassment, but none of his teams ever hit the winner’s circle. Eliot Spitzer, the former Governor of New York state, ran on the premise that he would crack down on prostitution in the state. However, after winning the election, he became one prostitution ring’s biggest client. I can still hear him braying. I guess his Princeton undergrad degree and Harvard Law degree never passed on values. He certainly didn’t learn The Kentucky Derby Rule. Eliot proves you can make him look like a thoroughbred, but a jackass will always reveal himself sooner or later. So as a leader, how do we make sure we follow the Kentucky Derby Rule? 1. Character counts, regardless of how some may try to minimize it. Character counts. Ralph Waldo Emerson put character above intellect. Eliot Spitzer certainly had intellect, but the absence of character sent him from the Governor’s Mansion to CNN. 2. If it looks like a jackass, talks like a jackass, smells like a jackass, it is a jackass. Trust your gut. You know a jackass when you see one. Don’t you think people knew of Eliot Spitzer’s flaw long before he became governor? They chose to overlook it. 3. Never let talent blind you to the truth. Jackasses can be talented, but they are still jackasses and will revert to jackass behavior when you need it least. Duane Thomas was an extremely talented running back that was the Super Bowl Most Valuable Player after the 1971 season. But put a Jackass in the winner’s circle and he’ll embarrass you anyway. Thomas’ performance in the Post Super Bowl interviews was an embarrassment to all. Thomas was traded to San Diego and then to Washington and by 1975 was out of the NFL for good. Rumors of drug abuse always surrounded Thomas, and his talent was short-lived. 4. Talent never excuses bad behavior. In our society, we tend to overlook bad behavior when it’s the behavior of the talented or the wealthy. Bad behavior is bad behavior whether it’s the star quarterback or a third string guard. Status doesn’t make bad behavior acceptable. Don’t you think people knew about JFK’s affairs? Or do you think Tiger Woods’ “sexcapades” were really a secret? Do you think if Monica Lewinsky had had the blue dress cleaned, anyone would have believed her? How many people defended President Clinton’s awful behavior because they liked his politics or shared his political point of view? Good leaders have high standards of behavior and stick to them, regardless of who is involved. Coach Lou Holtz tossed off the three best players on his University of Arkansas football team just before the 1978 Orange Bowl for sexual misconduct. His team responded with a 31-6 upset victory over the heavily favored Oklahoma Sooners. 5. If you allow jackasses in your organization they will attract additional jackasses. Like attracts like. 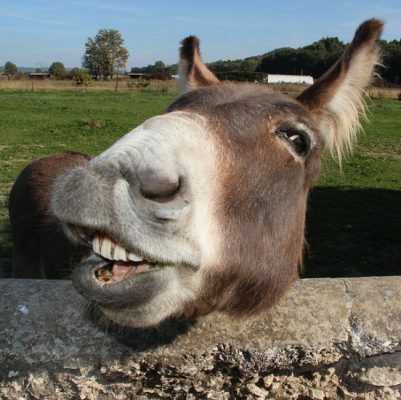 If you did mistakenly bring a jackass into your organization, cut it loose as soon as possible so you don’t get any more. You don’t want your organization to be known as a jackass haven. You want only thoroughbreds on your team. Only prestigious horses can run in a prestigious race; make sure you have the right horses running in your race.